Cancellations made within 24 hours of the scheduled time of service or failure to show for your appointment will authorize The Spa at Litchfield Hills to charge the full amount of the services scheduled to the credit card on the customer’s file. Your promptness is appreciated. Please arrive 5-10 minutes prior to your service. If you are late, an abbreviated service will be performed and you will be charged for the originally scheduled service. If time permits, we will accommodate you for the full amount of time. 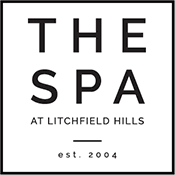 The Spa at Litchfield Hills is not responsible for damage or loss of personal articles. We provide facilities to lock your belongings if necessary. Gift certificates and packages are non-refundable but can be redeemed for products and/or services of your choice. Gift certificates never expire. Please keep in mind that of our facility is a place for relaxation and peacefulness. Children are welcome when they are receiving service. As a courtesy to all spa guests and staff, kindly mute all cell phones when entering the spa. We asks guests to enjoy a silent moment and refrain from the use of cellphones during your visit. Prices reflect the value of our products and services and are subject to change without notice. Connecticut state sales tax is applied to all services except hair and massage therapy.